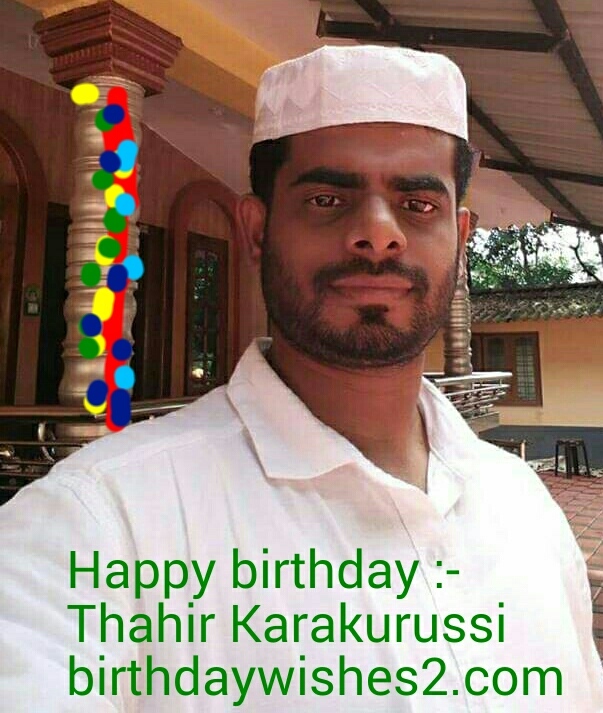 Happy birthday Dear Thahir Karakurussi - birthdaywishes2- Birthday wishes sms,birthday wishes images,,special birthday. Thair Karakurussi is celebrating his 28th birthday today. He is a student, studying at Jamia Hassaniyya Collage. .After his high school at DBHSThachampara he joined GVHSS high school and GVHSS Karakurussi .He born 9th July 1989.